Occasionally, XBLA Fans likes to take a backseat and allow members of the development community to speak openly and directly to our readers. After all, you came here to read about games, and who better to talk about them than the professionals who create them? With that in mind, please enjoy the following article written by Enigma Software CEO Daniel Parente. 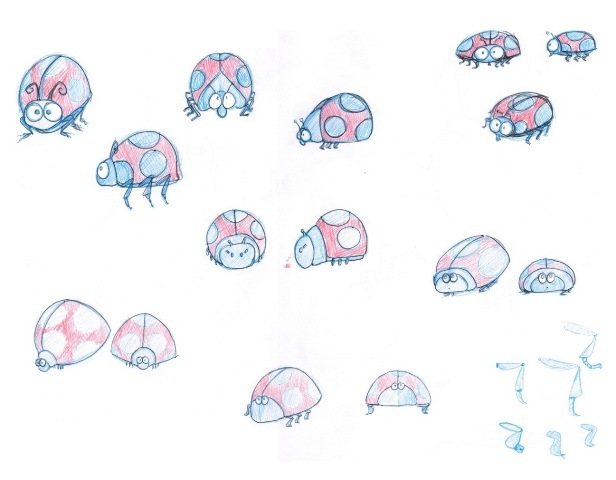 In our first Alien Spidy post, we showed how we took the initial concept for our protagonist, Spidy, and made him into the lovable character he is today –- despite being a spider! In today’s post, we want to do something similar. We’re introducing the remaining cast of characters featured in the game and how we came up with consistent visuals to keep the art direction and, of course, Spidy himself in line with our vision. Let’s start with the Ladybug, which has its own unique charm. Alien Spidy is hard. I watched helplessly during PAX East as the game’s public relations representative repeatedly subjected himself to the rigors of a particularly nasty stretch of platforming in a cave level. He died. A lot. The level required the game’s space spider protagonist to fire off strands of webbing, which he can swing from to progress through the game world, at a series of stalactites with pinpoint accuracy. Missing the dripstones meant his webbing would uselessly hit a section of the cave ceiling that it wouldn’t stick to, sending the spider to his doom. Certainly this could be overcome by the simple act of slowing down and carefully lining up shots, no? No. The stalagmites begin to crumble and fall under the strain of Spidy’s weight. It didn’t get any easier from there. Another portion of the same level required a deft hand to guide Spidy carefully through a narrow space flanked by rows of pink crystals that were as sharp as they were shiny. More dying ensued. There is no life bar in Alien Spidy; one careless brush with an environmental hazard or enemy results in death. The development team at Enigma Software have offset the high degree of difficulty by liberally sprinkling checkpoints throughout the game’s stages. As a result, death is less likely to inspire a controller throw than it is another go…and another one, and another one, and so on and so forth. Spidey is no stranger to video games. Wikipedia lists over 30 titles under the webslinger’s banner. But let’s be honest here, only a handful of them stand out. One that is stands near the top of that list is Spider-Man for the PlayStation, Nintendo 64, Dreamcast, Mac and PC. 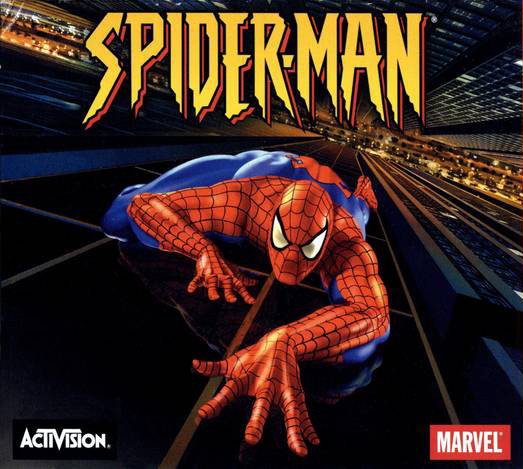 It was the first time players really felt like Spider-Man. No longer were we limited to two dimensions. We were (relatively) free to choose our path. While the levels were linear, they had a certain feeling of freedom. You could cling to the ceiling, wrap a thug in webbing, and even web swing for a short time. It was innovative, it was entertaining, and it had all the Spider-Man charm. We want it back. Speed running has been around for as long as games with beginnings and endings have. There are some people out there determined to rush through everything in a game, especially platformers, as quickly as possible. 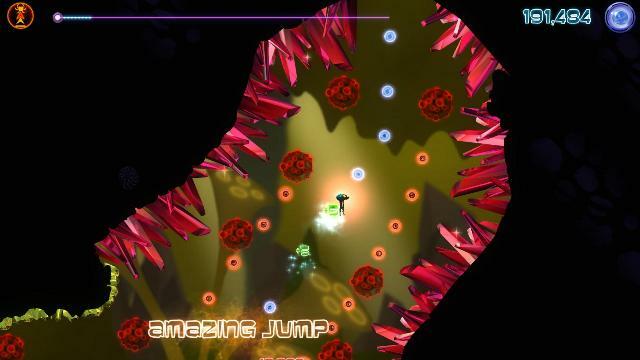 Well Alien Spidy takes speed running, fleshes it out a bit, and presents platformer enthusiasts with a skill-based platformer designed to be played at mach speed.